Dave Whelan slumped down into his chair late on the night of May 11th 2013 with a large grin on his face after a day of celebrating his club, Wigan Athletics finest hour . In what was described as one of the greatest FA Cup final upsets for a quarter of a century, relegated Wigan stunned Manchester City with a 1-0 win thanks to a late Ben Watson header. Whelan, who bought Wigan in 1995 when they were in the old Division Three (now the Football League Two) deserved the day after giving his heart, soul and more importantly money to the club for over 18 years. The JJB Sports founder was highly regarded by many in football as an example of how owners should act. At 76 years young on that day, Whelan could have been forgiven for considering retirement from his role as Chairman of the club with a new chapter about to begin back in the Championship. But the former Blackburn and Crewe full back decided to stay on and committed to getting the club back into the Premiership. Hindsight is a wonderful thing and looking back now Whelan may be thinking that he made a mistake by staying on instead of leaving on an all time high. Life in the Championship has proved troublesome for Wigan from day one. With manager Roberto Martinez departing for Everton and a host of players following him out the exit door, a rebuilding job was needed starting with the appointment of a new manager, someone who could set the tone for the years ahead. Whelan opted for Owen Coyle but when the Irishman failed to emulate Martinez style and results he was sacked and replaced by Uwe Rosler. Unfortunately for Whelan, the German coach fared no better and only lasted 11 months before he was pushed out as well. Then came arguably Whelan’s biggest mistake when he handed the reigns over to Malky MacKay. The Scot was embroiled in a racism row with his previous club Cardiff along with the Welsh clubs sporting director, Iain Moody. His controversial appointment was made by Whelan who claimed that MacKay had made a mistake and paid the price so he should be granted a second chance. Fan groups and sponsors were up in arms with several of the latter pulling their financial support as a consequence of his appointment. It was then when Whelan knew he had made a mistake himself but now stuck with MacKay under contract he had little option but to get on with things. Unfortunately for Whelan the controversy continued with the Chairman himself then caught up in a racism row. Defending his appointment of MacKay in an interview with the Guardian, Whelan told the reporter that “Jewish people chase money more than everyone else” and later referred to Chinese people as “chinks”. His throwaway comments were largely criticized by fellow club owners including West Ham’s David Gold and Cardiff’s Vincent Tan. Whelan and Wigan’s reputation was in tatters. 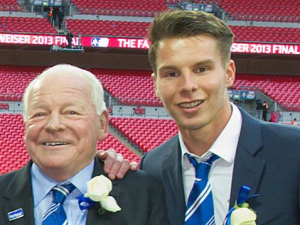 With the pressure growing and Wigan slipping closer to the Championship relegation zone, Whelan decided enough was enough and stepped down as Chairman, handing his 23 year old grandson David Sharpe the keys. Sharpe who became one of the world’s youngest football bosses surveyed the legacy that his grandfather had left and knew that significant changes were needed to get the club back on track. Sensing an opportunity to cleanse the club once and for all was all the incentive Sharpe needed to make the changes. With the club teetering on the brink of relegation (8 points from safety with 5 games left), there was little protecting MacKay from the axe. 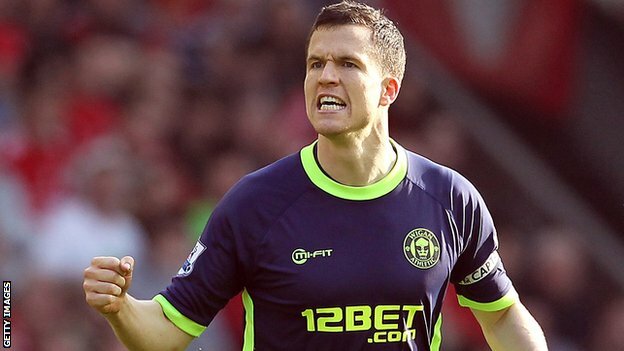 After Monday’s 2-0 defeat to Derby, MacKay was shown the door and replaced by former club captain Gary Caldwell. The inexperienced Scot may look to be a surprise appointment by Sharpe, his first major decision as Chairman but for a player who has spent five years at the club and was the driving force behind that 2013 FA Cup win he is seen as a sensible choice. He will be supported by an experienced backroom staff including Mike Pollitt, Eric Black and Graham Barrow but it will be a crash course in management for the 32 year old. Sharpe has no concerns about his decision to hire Caldwell calling him the perfect candidate and backing up his appointment by insisting he was the only candidate considered for the role. Caldwell will be tasked with keeping Wigan in the Championship this season but if unsuccessful he will still be in place for the start of the new campaign in League One. Sharpe is planning for the long term and views Caldwell as an up and coming manager much like Whelan viewed Roberto Martinez when he appointed the Spaniard in 2009. More importantly for Sharpe, he wants a fresh start for Wigan, one free of scandal and damaging headlines. He may be young but even at 23, Sharpe understands fully the impact on the club of the decision by his grandfather made that fateful night back in May 2013. He will be conscious not to make the same mistakes. Previous Entry How Long Before FIFA Cracks Under The Heat Of Its Own World Cup Report? Next Entry Is Chelsea’s bid For Japanese Star Purely Commercial?